In case you missed it, here is a piece I wrote for Book Riot: "The Conversation We Should Really Be Having About Summer Reading List Errors." In it, I discuss a situation in which Long Island high school was recently singled out by the media for handing out a mistake-riddled summer reading list to its students - an issue about which I have mixed feelings. Now, I realize that it’s easy to laugh (I mean, The Lovely Bone? C’mon, that’s HILARIOUS) and scoff and be outraged by this egregious display of ignorance and carelessness. However, there are other things at play here. First of all, I think it’s unfair of Newsday to single out Hempstead when the problem is not limited to just this school. (This doesn’t excuse the mistakes outright, but it’s wrong to vilify one school for an issue that faces many schools, especially without discussing some of the economic factors that might contribute to the difficulties they face.) I also honestly don’t see the errors as being totally life-ruining for students (and I was once a high school English teacher myself who expected a lot from my own students). Fortunately, many kids take advantage of their local libraries, where trained professionals are able to sort these problems out. Librarians to the rescue! It is reasonable to hold educators up to higher standards, but the point in the article about the school not having a “stable administration” might be a good one. Are these faulty reading lists indicative of a larger problem within the educational system? With crazier and crazier demands being placed on teachers, who is actually writing these lists and letters in the first place? Is it the teachers themselves, or overworked paraprofessionals who might not have the same access to information nor the time to proofread for mistakes? Does it matter?" 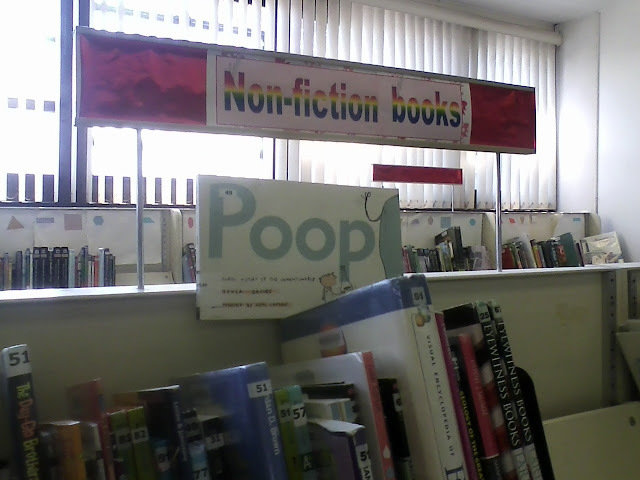 Stumbled on this very mature "display" in the stacks. 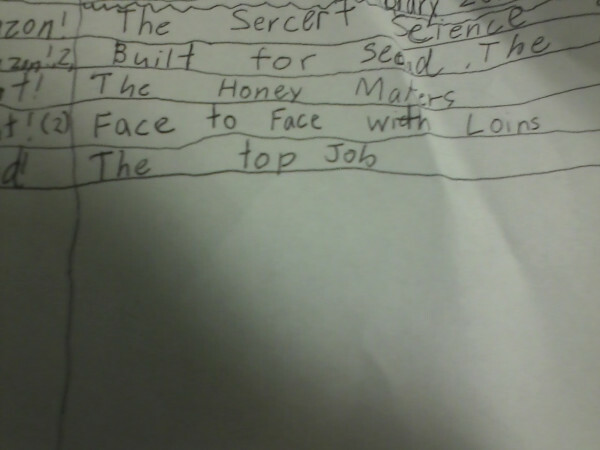 I’m glad to see that the kids have a renewed interest in non-fiction. Some kid in the library put this photocopied sign on another kid's back a few moments ago. 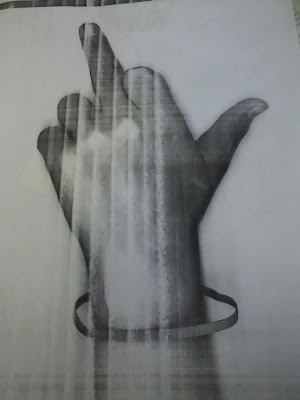 Incidentally, it perfectly expresses how I feel about today. 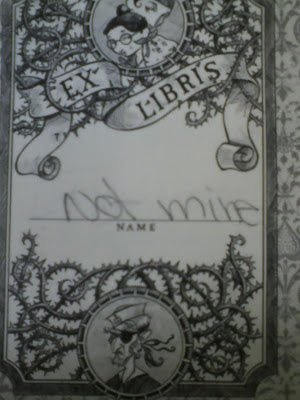 Another day, another example of some kid defacing a library book. 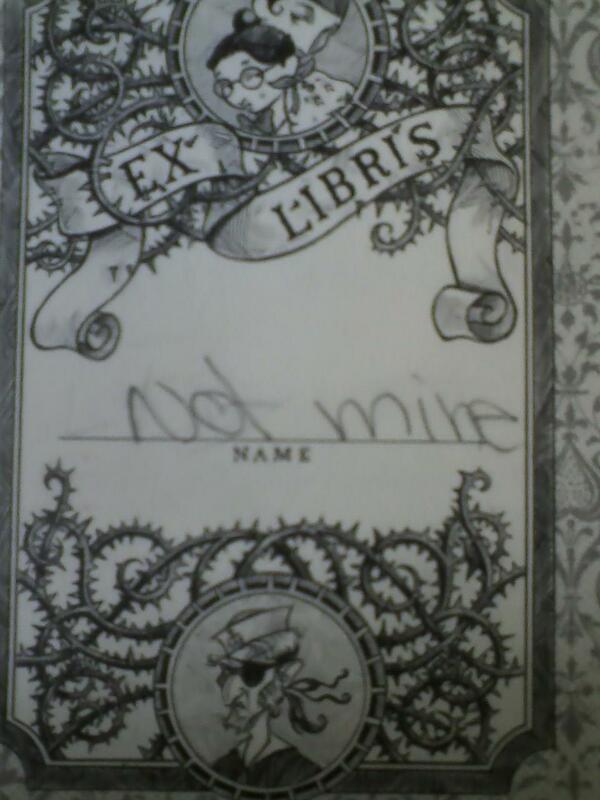 I found this in one of the "Series of Unfortunate Events" books. An unfortunate event indeed! At least this kid was able to admit that he/she wasn't the rightful owner of the book. Good on ya, kid. That's the first step to vandal recovery. In related news, I wrote Book Riot post a few weeks ago about this very topic: "When Book Graffiti Goes Bad." Check out if you want to see more examples of book vandalism that I've recently found in my library (and most of them weren't already posted on this blog as they are a little darker than what I've posted on here in the past). This post is a little overdue (no pun intended) BUT, in case you hadn't yet heard, I wanted to write a quick note and say for the record that once again, NYC libraries have avoided budgetary disaster for the fiscal year. In other words, there will be NO library closures, cuts, or layoffs! "The FY 2014 Adopted Budget provides $106 million in funding to ensure that New York City’s three public library systems continue to provide the full range of important services to New Yorkers – from reading and research, to after-school programs and literacy classes, to acting as a community center. Libraries strengthen neighborhoods and enhance the educational and cultural lives of New Yorkers." I want to say THANK YOU to all of you who signed petitions, tweeted, Facebooked, blogged, called 311, and otherwise supported NYC libraries during this budget season. It's always a tough time, but knowing that people are there with you in the fight is SO important in terms of advocate morale. Thank you again.